CrossFit Nashville is a fitness coaching program with two facilities in the Nashville area. We are the oldest CrossFit gym in Nashville and have more years of coaching experience on our coaching staff than any other CrossFit gym in Nashville. 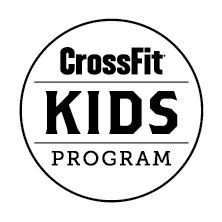 We offer group and individual coaching utilizing the CrossFit methodology. CrossFit workouts are comprised of constantly varied, functional movements (e.g. pushing, pulling, squatting, lifting, running) executed at high intensity. CrossFit Nashville does not look like your typical gym. We have no treadmills, ellipticals, cable machines, or mirrors. Instead, you will find pull-up bars, kettlebells, barbells and an open gym space for squatting, running, jumping, climbing, lifting and throwing – performing movements that our bodies are designed to do. Our workouts consist of exercises that mimic movements performed in day-to-day life or sport. We rarely bicep curl anything in life so why would we do it in the gym? We focus on functional movements that are essential to lead a successful, independent lifestyle. At CrossFit Nashville, we constantly vary our programming. This means you will rarely do the same workout twice in a 6-12 month time period. You do not have to program workouts for yourself, all you have to do is show up ready to work. And you will not have to spend hours at our gym to get a great workout. Instead, each day a workout will be provided for you that is scalable to your fitness level. And because our workouts are rarely longer than 30 minutes, you can get in your workout and get on with your life! The goal of CrossFit is to improve your capacity in ten recognized general fitness skills: cardio-respiratory endurance, stamina, strength, flexibility, power, speed, coordination, agility, balance, and accuracy. This should be the goal of a BALANCED fitness prgram. This is what makes CrossFit the most well rounded fitness program available! Who is best suited for CrossFit? You are tired of gimmicks and empty promises from other "fitness gurus"
The CrossFit community is diverse; it includes members of our military special forces, full-time moms, doctors, lawyers, police officers, fire fighters, business executives, elite athletes, and retired grandparents. That is the beauty of functional movement- it is applicable across all walks of life. We at CrossFit Nashville want only to make your life better because that is what fitness should be! At CrossFit Nashville, we will always provide you a professional environment with knowledgeable coaches, dedicated to helping you accomplish your fitness goals. You will always be challenged and we will offer a community atmosphere that will inspire and motivate you.